Love Reckon Accounts, but hitting the limits? Home › CRM Blog › Uncategorized › Love Reckon Accounts, but hitting the limits? This entry was posted in Uncategorized on July 6, 2018 by Mike Nash. If you’re hitting the limits with Reckon but you don’t want to change accounting systems or you’ve just realized that its not a substitute for a CRM. It’s common that people use lots of paper and excel spreadsheets because Reckon doesn’t really have a pick, pack, ship process. Reckon just does the accounts. As a result there can be lots of paper based process, running around with dockets, re-keying data between courier systems, excel, Reckon. 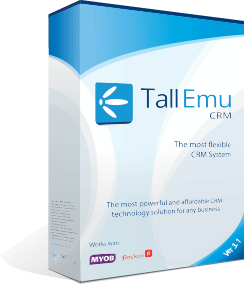 Tall emu extends Reckon to deliver some process in the warehouse. and on it goes. We are happy supporters of Reckon but we make it better and help your business work smarter.